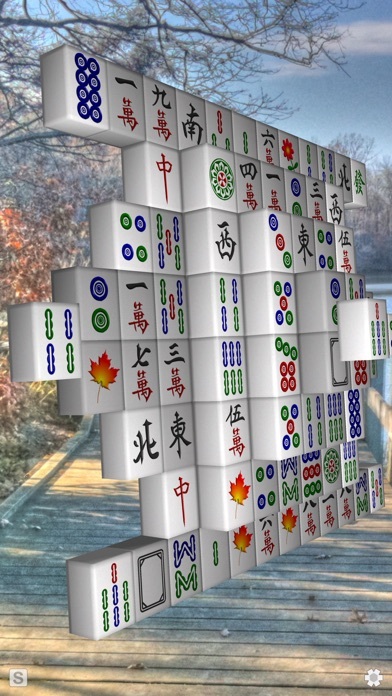 Moonlight Mahjong is Mahjong Solitaire in virtual reality 3D, designed specifically for the iPhone, iPod Touch and iPad. Intuitive touch control allows you to tilt and turn, zoom in and out to match tiles in 3D. Play “arcade style” with progressively difficult levels and high scores, or relax with one of the non-competitive game modes. The gameplay is simple yet addictive. 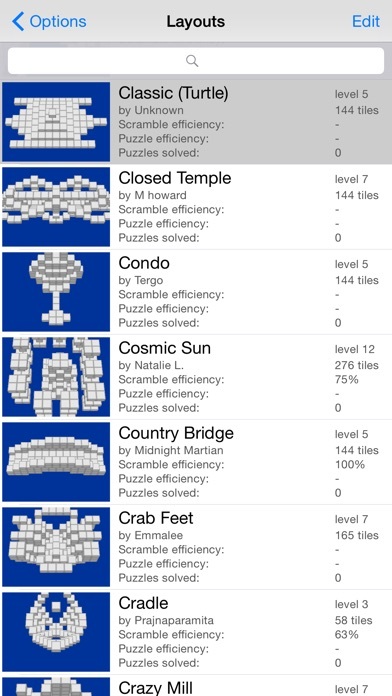 • Scramble Mode: Match tiles faster than the automated opponent "Tilebot" through increasingly difficult levels. The board is automatically reshuffled when you run out of matches, making this game mode easy to start and fun, yet challenging on the higher levels. • Challenge Mode: Compete against Tilebot in full puzzle mode, with no automatic reshuffling, only undo. Challenge requires more strategy than Scramble. This is the ‘pure’ form of the game, but it is difficult! • Puzzle Mode: Solve puzzle boards with no time limit. Choose any layouts you like. This is the original game mode, what people usually think of as Mahjong Solitaire. • Relaxation Mode: Clear boards with no time limit and automatic reshuffling when out of matches. Perfect for when you're just not in the mood to strategize or rush. 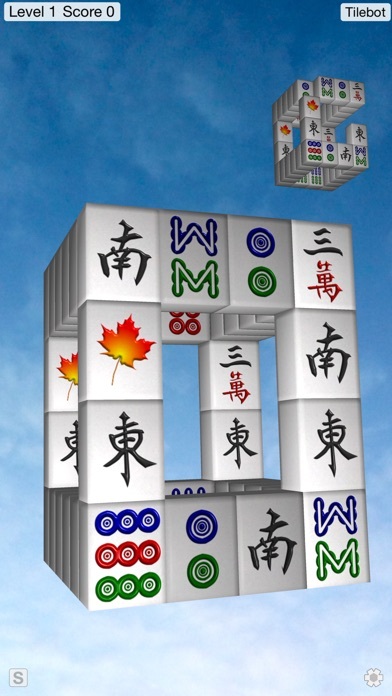 This free advertising-supported version of Moonlight Mahjong features five complete game modes (the main four, plus 'Lightning Mode'). 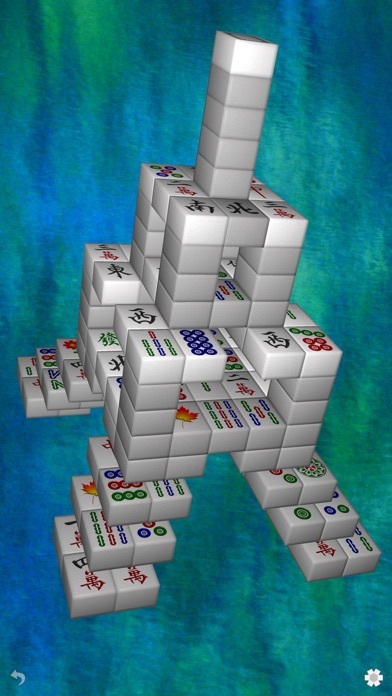 The full version of Moonlight Mahjong offers a few additional features with no advertisements. 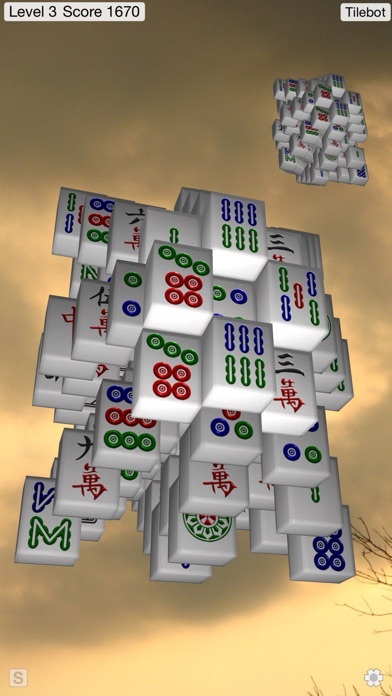 Moonlight Mahjong is the original 3D Mahjong Solitaire on iOS, having debuted with the launch of the App Store in 2008. It has been honored as a "Best Board Game" on the App Store, and was in the original Best 100 Apps and Games on iLounge.com.